Wow, there was a lot in yesterday’s post. And that only covered half the day! Today, I’ll cover the afternoon presentations at MasterLab. Obviously, we don’t want to have a BG trend that goes up and down a lot. So when people get excited about advocating for better devices, drugs, and therapies, we need to keep in mind the importance of making sure those devices, drugs, and therapies help keep us in range for longer, safer periods of time than they do today. 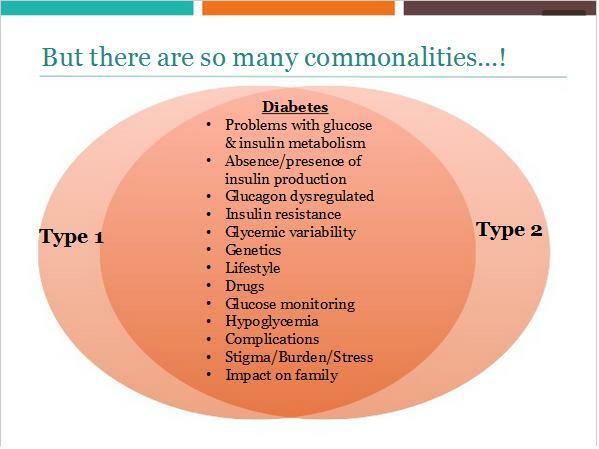 Yes, Type 1s and Type 2s have a lot in common. Including the fact that Type 1s can benefit from typically Type 2 medications like Metformin. And Type 2s can benefit from typically Type 1 medications like insulin. That’s not just opinion anymore. That’s a fact. When I saw that part of the presentation, it caused me to really think hard about my long-held feelings of never wanting to consider Metformin or Victoza. Time for a new point of view, Stephen. Kelly and Adam shared a wealth of information in a short amount of time. 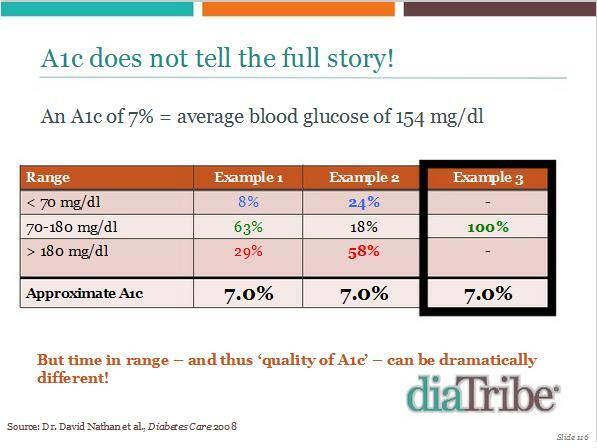 Again, I encourage you to check out the presentation slides and the videos (once they’re posted at diabetesadvocates.org/masterlab) to get a look at their talk. I promise you it will be well worth your time. I met Manny Hernandez earlier in the day, and when I did, he mentioned that he thought I would get a lot out of the talk by Rebecca Wilkes Killion, patient representative and voting member with the U.S. Food and Drug Administration’s Endocrinologic and Metabolic Drugs Advisory Committee. 1. Membership has its privileges– We didn’t ask for a diabetes diagnosis. Don’t be afraid to share your story, be vocal when the moment calls for it, and hold people accountable for their actions or inactions when it comes to your diabetes. 2. Stand in your own truth– Be authentic. She mentioned interacting with the media: If your story is real and authentic, they’ll pick up on that. I think of this as using the term “staying within yourself”. Don’t try to be who you’re not. Your story is compelling just as it is. Just tell it honestly. 3. Cut to the chase– We often think of this as developing an “elevator speech”. If you were on an elevator with someone for less than thirty seconds, how would you tell your story before you reached your destination? Brevity works. 4. Visual aids– Data, photos, anything that would help people grasp your message right away can be extremely important in making sure that your input is considered in the decision-making process. 5. Own your space– “As a diabetes advocate, you have a position that is hard fought”. You know who you are, and what you live with every day. Don’t let someone back you off your spot. No one knows more about your diabetes than you do. After that, the fabulous Kerri Sparling talked about mobilizing the Diabetes Community. As an example, she shared with us the amazing success of the Spare A Rose, Save A Child campaign. How’s this for a visual aid? Over 1,000 tweets? $27,000-plus raised? Children’s lives were saved. How big is that? Whether you know it or not, if you tweeted, blogged, donated, or made cookies to help get donations, you are a diabetes advocate. Kerri’s plea, and mine too: Keep being a diabetes advocate. 1. Relationship: It begins with acknowledgement of the other person and the issue at hand, and includes sharing a story that helps connect you with the person you’re asking. 2. A vision: Simple enough, right? Be sure to state your vision clearly. Not in a “mission statement” kind of way. More like, “I want people with diabetes to have access to keep their CGMs when they turn 65” kind of vision. Make it clear what you intend to do with what you get from the person you’re asking. 3. Opportunity: Look for the right opportunity to ask and be ready to seize it when it appears. 4. Make a clear ask: Don’t be vague about what you want. Be sure that the person you’re asking knows without a doubt what you need them to do. After David’s talk, we broke off into small groups and practiced The Art of the Ask. I gave my pitch, and you know what I got wrong? That last one. I thought I had it all down, and it turned out that when I was finished, people liked my idea but weren’t clear about what I really wanted them to do. Oh well… Now I know what I have to work on. All of this that I’ve described, plus what I described yesterday, really only scratches the surface of an extraordinary day spent learning all parts of the diabetes advocacy landscape. I don’t know if this experience will make me a better advocate. But I know I’m a smarter advocate. And I know I’m going to try hard to be a better advocate in the future. Tomorrow, a little more about the experience and some of the people I met at MasterLab. « #MasterLab: What I learned, and what I experienced. I love reading about your experience at MasterLab. I’m glad you were able to make it…thanks for sharing! I had never donated to Diabetes Hands Foundation. Knowing that you and many other of my diabetes friends were granted scholarships by DHF to attend MasterLab, I just made a donation. Earlier this afternoon I changed my Amazon Smile account to support DHF. Thank you for all that you do, Stephen. It’s been fun watching you morph from just a regular-guy T1 to a Diabetes Advocate. 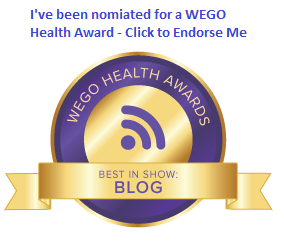 I appreciate your support for my blog and I know you’re doing the same for many others. You are truly making a difference! Thanks for doing such a thorough recap with this post and the one before. 🙂 I never that great at taking notes, so I appreciate that you got it all down for us.